When Samuel Belknap, Ph.D. anthropology and environmental policy student at the University of Maine, heard an increasing number of fishermen express concerns about the spread of a lobster shell disease and its potential impacts on Maine’s iconic industry, he was intrigued. “The thread that ran through all of these conversations was the need for more information about the future spread of the disease and what the environmental drivers may be affecting this spread,” said Belknap. The lobsters were being affected by epizootic shell disease (ESD), caused by a bacteria that eats away at their outer shells. ESD can cause increased mortality in lobster populations, and decreases in reproductive success and market value. That same year, a warmer than normal winter, referred to by some as the “North Atlantic heat wave,” caused a shift in the timing of lobster molting. The shift resulted in an early glut of lobsters on the market, which caused prices to plummet. Belknap’s interest in exploring how environmental changes affect human behavior and society led him to UMaine. He is now a graduate student and fellow in the Climate Change Institute’s Adaptation to Abrupt Climate Change Integrated Graduate Education and Research Traineeship (IGERT), which provides funding to Ph.D. students for interdisciplinary research projects aimed at improving climate change adaption strategies. 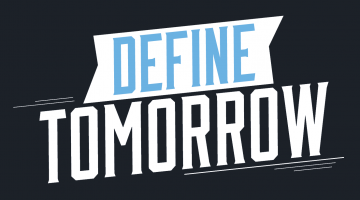 The purpose of UMaine’s IGERT is to tackle the issue of adaptation to abrupt climate change (A2C2), part of which involves forming teams or subgroups from different disciplines to come up with a collaborative immersion project. Belknap teamed up with Kisei Tanaka and Jared Homola, both IGERT fellows and Ph.D students studying ecology and environmental science at UMaine. The three researchers were interested in exploring fishery-related topics in the northeastern United States. So, naturally, the iconic American lobster swam to the top of their list. Their project aims to identify environmental drivers of ESD and combine that information with climate change projections to identify potential scenarios of future disease expansion in the Gulf of Maine. Other priorities for the project are community outreach initiatives, stakeholder engagement and producing visual materials for non-scientific audiences. North America. According to Maine’s Department of Marine Resources, the lobster industry was valued at nearly $460 million in 2014. “The spread of lobster shell disease was something we could immediately form a climate-change related hypothesis as many scientists and managers have speculated on the link between rising seawater temperatures and increasing lobster disease prevalence in southern New England and the Gulf of Maine,” said Tanaka, who has two master’s degrees — one in environmental policy and another in environmental science. Tanaka has work for marine resource management organizations in the United States, Japan and Jamaica. At UMaine, he specializes in quantitative fisheries research and policy analysis. The disease impacts hard-shell lobsters primarily. Over time, ESD can decrease the ability of females to produce eggs and even kill some individuals that can no longer effectively shed their carapace, says Homola. A more common consequence of the disease is shell degradation, which decreases the economic value of affected lobsters. Climate change has been identified as a factor contributing to infectious disease outbreaks in marine ecosystems. 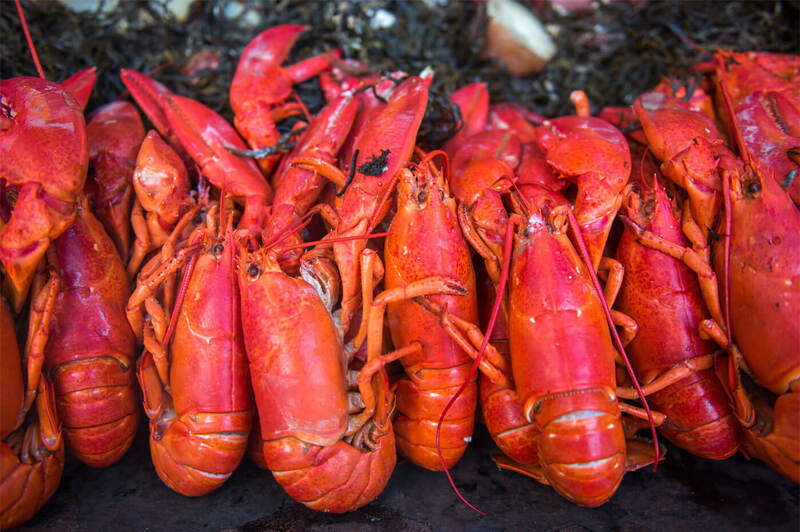 “Since hard-shells are the most sought after by restaurants locally and because hard-shell lobsters can be shipped all over the world, any disease that impacts them will have significant economic impacts for fishermen and the state,” said Belknap. The lobsters found in New England are especially sensitive to temperature changes because they are cold blooded; preferring a thermal range of 12–18 degrees Celsius. Increases in temperature force lobsters to use more energy for respiration, leaving less energy for feeding, growth, immune response, and reproduction. A molecular ecologist by training, Homola is working to identify genes associated with immune response to ESD to quantify the levels of expression and to provide evidence of a correlation between physiological stress and disease presence. 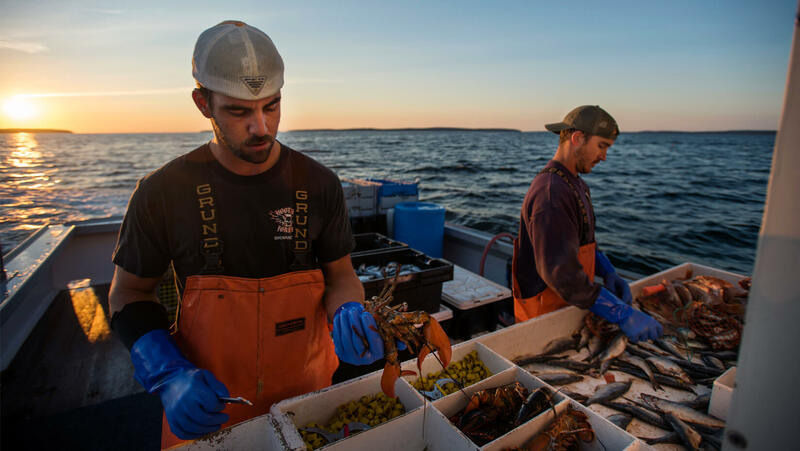 “Given the importance of the lobster fishery to Maine’s economy and culture, we found the problem to be very relevant regionally, as well as something we thought our combined expertise could inform,” said Homola. “I am particularly passionate about conducting research that can be readily applied to solve an existing problem,” said Homola, who plans to remain active in research once he graduates from UMaine, ideally teaching and mentoring students. By identifying the factors involved in ESD outbreaks in the Gulf of Maine, the researchers hope to better forecast the spread of the disease to allow resource managers and stakeholders the opportunity to adapt to the ecological and economic costs associated with an ESD-infected fishery. “Decline in the stability of marine ecosystems as a whole would have serious negative consequences,” said Tanaka, who hopes to continue working in the assessment of benthic fisheries resources after he graduates from UMaine. Marine ecosystems provide many important functions critical to primary production, trophic dynamics, food-webs and the economy. 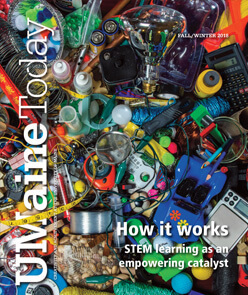 The researchers work collaboratively with scientists and resource managers at Maine’s Department of Marine Resources, who help disseminate information to stakeholders and fishermen, as well as providing resources and guidance. According to the National Oceanic and Atmospheric Administration (NOAA), 39 percent of the U.S population in 2010 lived in counties directly on the shoreline, and that this number is expected to increase by 8 percent by 2020. The researchers hope that their project’s outcomes will contribute to the ongoing effort to provide evidence-based solutions for managing U.S. lobster fisheries under the uncertainty of a changing climate.